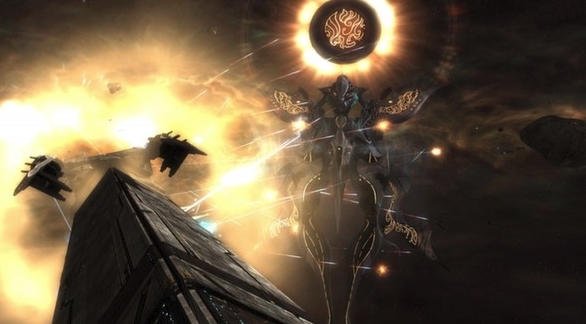 Rebellion is the third expansion to Sins of a Solar Empire. A new part of the famous strategy. For the first time in history, Advent was split by war. 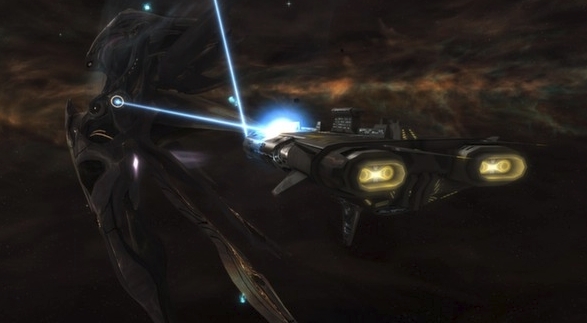 Loyalists seek revenge on merchants and assimilate everyone else, while other members of the Advent believe that corrupting influence from within has turned civilization away from its true goal. The rift in the Vasari Empire is not so pronounced, but no less harsh towards its inhabitants. Vasari desperately seeks to occupy new regions of space, and the loyalist faction, rejecting all interaction, is ready to do anything to get the necessary resources. The rebel faction, on the contrary, recognizes the need to act together with other races, and believes that without them you cannot escape the advancing enemy. - New factions: Play as loyalists and rebels of different races with new technologies, ships and game styles. - New class of ships: "Titan." Mighty Titans enter the war to change its course. Each faction has its own special titanium, with unique advantages and abilities. - New and improved large ships: All races have at their disposal a new large ship, and with it new tactical capabilities. In addition, now each of the capabilities of the old ships can be improved to the fourth level, which will allow players to focus on obtaining certain advantages. - New class ships: "Corvette." 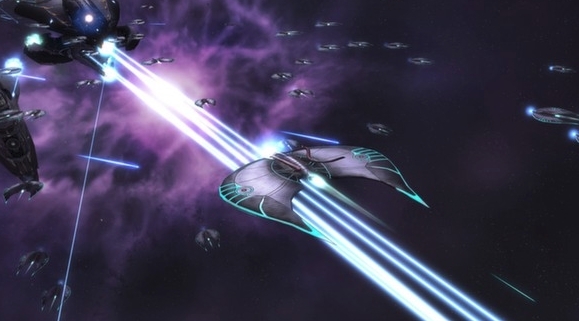 All factions have developed small and brisk light starships to wear down the enemy. - Improved graphics: Improved picture, particle effects, light and shadows, special interfaces for races and many other improvements. You have never seen such a Sins universe! - New Victory Conditions: Win a military, diplomatic, scientific victory, flagship, capital or occupation. - New music and sound effects: More than 60 minutes of new music, countless sound effects and dozens of new replicas will allow you to plunge into the universe of space battles. - Training: New and updated training will allow both beginners and experienced veterans to quickly start building their own solar empire. We also optimized the game, improving its performance! "The game is an indicator of the high quality of the RTS, who were able to do before, but now they are not there or are doing very badly, demeaning the previous parts and the whole franchise as a whole. With proper tuning, you can drown in it all day. Fans of RTS definitely recommend to buy with all DLC to support skilled developers. " "A very good strategy. But I ask the developers to add a workshop, of course you can install mods through third-party sites, but still, it will be more convenient if you add a workshop." "I really liked the game. I played on the pirate and decided to support the developers with my trifle. The game is very easy to learn. Even learning is not required to learn to play. Optimization. The game is well optimized. For on my old laptop, it at high settings produces a stable 60 fps. - Diplomacy is in principle a bit useless. Bots have never dumped resources per game. And I give them the tasks and serve the resources. "